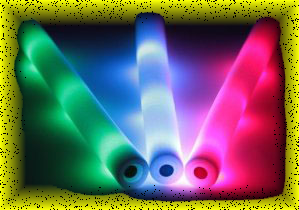 LED FOAM STICKS AT THE LOWEST PRICES IN THE INDUSTRY!!! & ART is Included in Price. 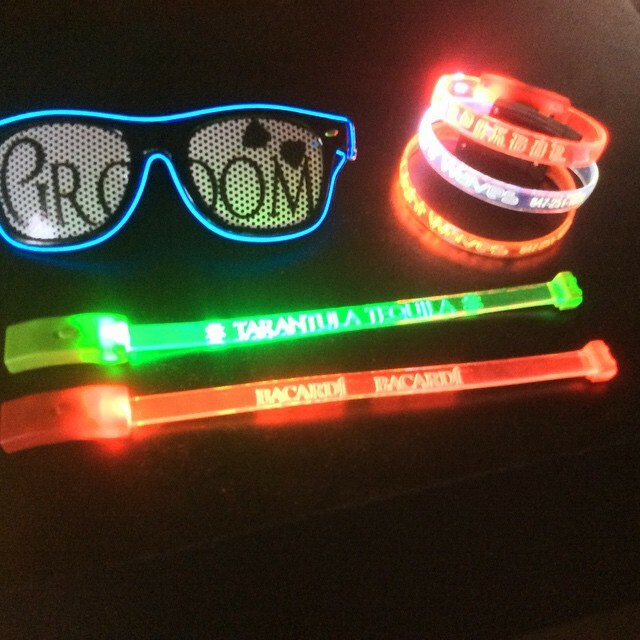 Below is the Detailed Info for Ordering your own custom LED FOAM STICKS!! We have a very fast turnaround time, and don't charge a rush fee unless you need 24-48 Hours. This is one of our most popular items so HURRY WHILE SUPPLIES LAST!! One of our NIGHTCLUBSUPPLIESUSA.com best selling Nightclub, Festival, Event, and Fun Party Products that have hit the Nightclub scene by storm, are our 18" (inch) LED FOAM STICKS, otherwise known as LED GLOW BATON, or LED GLOW STICKS, LED FOAM BATONS, LED STICKS, get the picture....many names have been given to this super cool product. We will simply call them LED FOAM STICKS. We Customize them and carry them for the lowest price around in the industry! Feel Free to shop around, no one does Big Bulk like we do, and we too are in Entertainment, so we know how important it is to have quality at an affordable price! 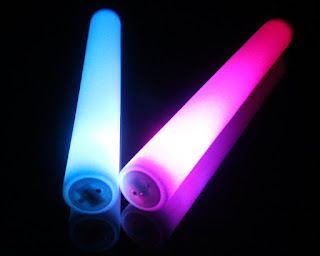 Here's some helpful information when ordering our led foam sticks from us here at www.Nightclubsuppliesusa.com especially for Custom printed 18" inch LED FOAM STICK orders. There are 2 Different Models that we carry. The 18" inch and the 16" inch high quality. Custom Printing turnaround in 48-72 hrs based on quantity. 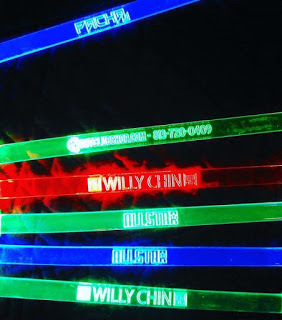 Proofs are also usually sent out to you within 48-72 hrs, so in total, 6-7 Days only for Production of Custom LED FOAM STICKS, No Company out there offers such a fast turnaround like we do. NIGHTCLUBSUPPLIESUSA.COM LED FOAM STICK Custom Prints always are in BLACK or COLOR. FYI: BLACK PRINTING STANDS OUT WAY BETTER! 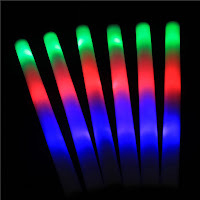 Our LED FOAM STICKS are the ultimate party item for Dance Parties, Nightclubs, Raves, and Festivals. The LOGO and TEXT BRANDING really gets your name and your Logo right in front of your Target audience. Once in their hands, it can be kept as a souvenir or even a toy since is soft to the touch. The Nightclub Supplies Warehouse is always stacked with products!! They have a button on one end that lets you turn them on/off, and the option to coose 3 different speeds. Our 18" LED FOAM STICK is more economic, because of the Functions and Parts, however it is still a great piece to have for giveaways, weddings, EDM Parties, Nightclubs, Raves, Concerts, Festivals, we have even done these for Amusement Parks. 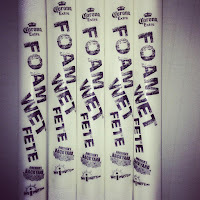 AS you know WE DO NOT CHARGE A RUSH FEE for any of our LED FOAM STICK orders, or Art Fee's... However, If the Order needs to Arrive by a certain date, please add the Event Date on the Notes Section of your Order or add that to your ART EMAIL. Our usual Turnaround time is between 48-72 Hours, once your Proofs have been approved and art work is ready to go,but we do give notice of 4-6 Days production time for custom orders. 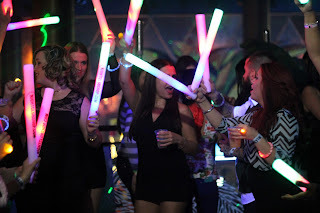 WWW.NIGHTCLUBSUPPLIESUSA.COM LED FOAM STICKS ARE THE LIFE OF THE PARTY!!! Thank you so much for dropping in and checking out the Nightclubsuppliesusa.com BLOG! We encourage you to sign up below and Join our mailing list for special VIP Deals and Members Only Discounts that we offer as well as Discount codes! Yes, The discounts and low prices alone will make you glad you Joined our List! Your feedback means alot so please let us know what you think!! FAST TURN AROUND TIME FOR ANY EVENT EVEN WEDDINGS!!! 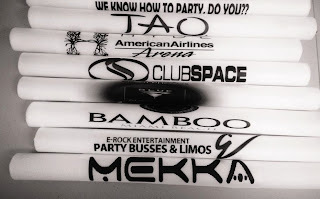 Our LED FOAM STICKS are also great for Promotional Events or even business holiday parties!! There is no better way to spread message then to light it up in vibrant colors. These will attract your audience's eyes and in turn increase engagement at your nightclub/establishment. Give your audience an experience that they cannot get at any other nightclub with these high quality LED foam sticks. Our printing process can be done in GREY SCALE, BLACK, or COLOR. You can choose whatever way you want. But our suggestion is to go with the dark clean stronge colors which is what we work with by default. Just simply, call 1-866-437-7557 prior to placing your order so we can answer all your quesions. Like that you'll have peace of mind. 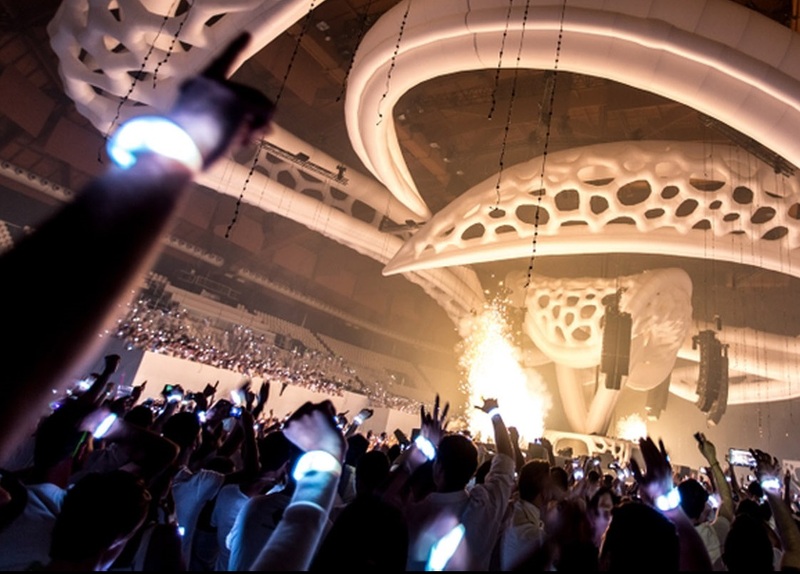 When it comes to creating a great party atmosphere, only a few products like our LED foam sticks can get the crowd involved and make your party or event come alive. GUARANTEED!! Our LED foam sticks are made with durable soft foam that allows the LED lights to shine through so that makes the stick glow. An electronic switch at the bottom changes the function. Each foam stick is rated to last about 4-6hours of constant use, batteries included. Our 18" inch foam sticks are able to be customized with your logo, hashtag, tagline or pretty much whatever you want, color and content. The most popular and economical of the different types of foam sticks, our 18" inch foam sticks. 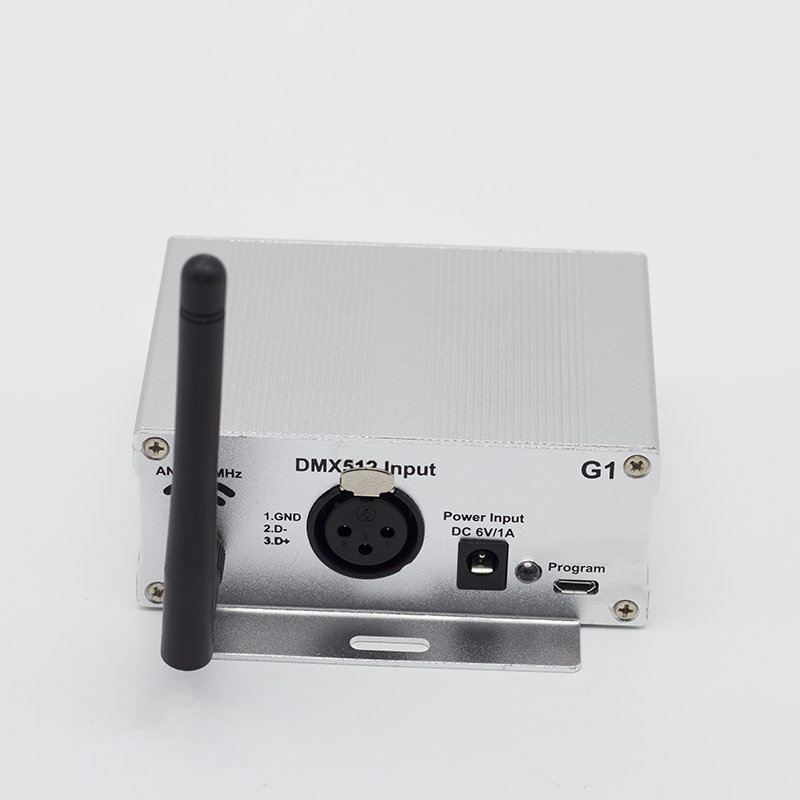 It offers 3 functions of RGB (Red, Blue & Green or RGB). Our 18" inch foam stick are ideal for large crowds because they are economical, safe, and you get the most “bang for your buck”. Our LED foam sticks are sure to be a hit and get your party to that next level no matter what the age or occasion. 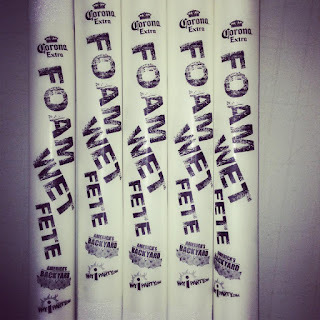 Whether for a crowd of thousands or a small event, our 18" inch foam sticks will start and end the night with a hit! Nightclubsuppliesusa.com is a online Verified Merchant and uses SSL Encryption on every order for your financial security and piece of mind. We ship mostly via FedEx and USPS with Tracking Numbers on your Account and order info. MIAMI - CHICAGO - ATLANTA - DALLAS - LOS ANGELES - NYC - WASHINGTON DC - SEATTLE - CANADA - MEXICO - CARIBBEAN - HONG KONG - AUSTRALIA - JAPAN - PUERTO RICO - BAHAMAS - NIGERIA - EUROPE - CANADA - BRAZIL - IRELAND - LONDON - ITALY - and MORE!! We are one of the ONLY companies in the USA and WORLDWIDE that can do this because we are NOT a drop shipper, a re-seller, or a third Party "MiddleMan" for a majority of our Customized/Personalized PROMO products. Most products are in stock ready to go. WE ARE THE SOURCE! Your Trusted Source for Custom Party items, Event planning, Promo Products, Nightclub products, and Bar supplies! We can still get your orders done in-house before the New Years or any event so that your Party looks and feels the way it should! 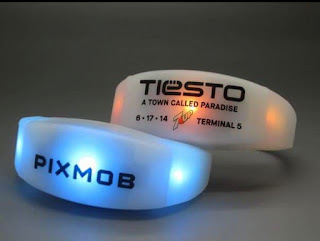 So today we will be going over the ways you can use a custom engraved LED wristband during your event. 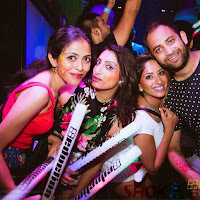 Incase you may need some ideas and don't have time to think of them, don't worry because here are nightclubsuppliesusa.com we've got you covered! We have compiled a list of the 6 most popular ways to utilize this cool new light up glow product at your event so enjoy! 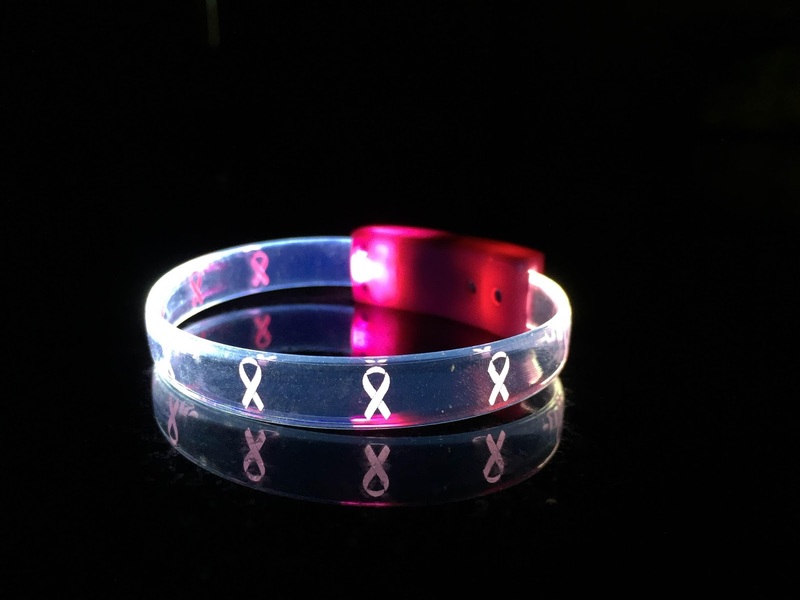 These LED Light Up Glow Wristbands are perfect to promote your message/brand. We use Patented technology and advanced laser engraver to engrave your message/brand logo onto the wristbands so in turn when they are powered on your message/brand will light up in a cool and attractive way. 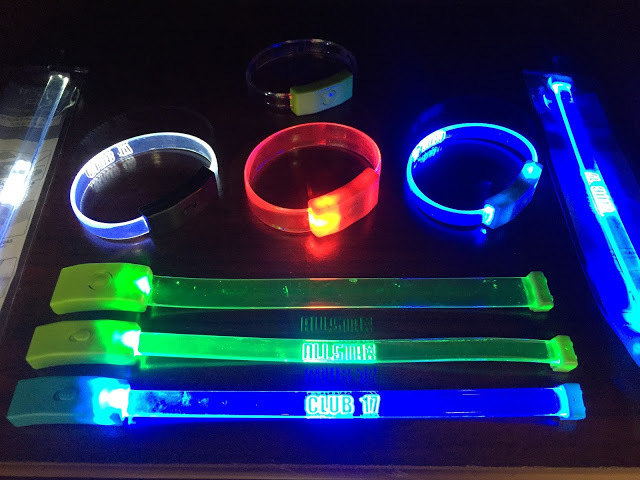 The LED Light Up Glow Wristbands are also a very effective method to differentiate VIP guests from general admissions at your events. These bands are highly exclusive and cannot be duplicated unless the replicator has a laser engraving machine on hand. 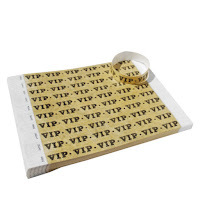 These bands will also make your VIP guests feel special and stand out as they walk around the club with a bright glow on their wrist so everyone can know that they are VIP attendees. Below is another example. If you are looking for a great item to give away at your wedding/party/event that is unique and cost-effective then this is a great solution. 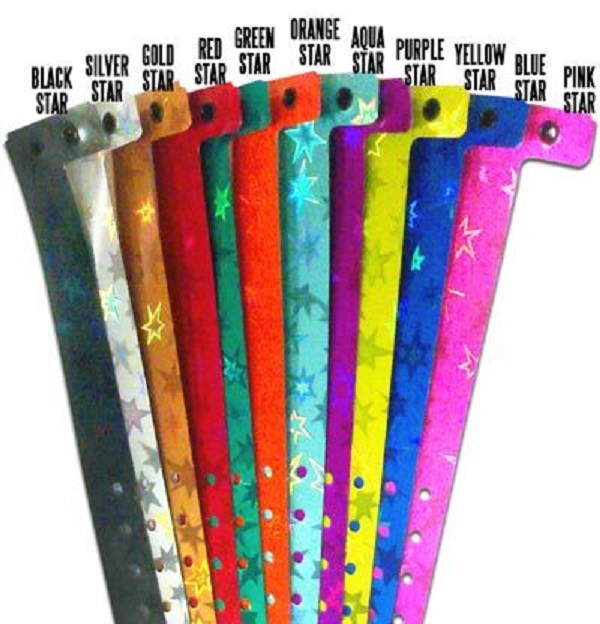 You can customize these wristbands to display any message you want. Make these bands an LED invite or a souvenir. 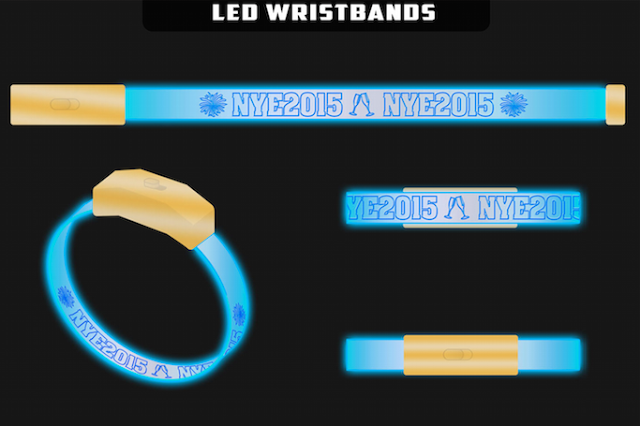 These bands can even be used after any party to show off where you were in style. Below are more examples. 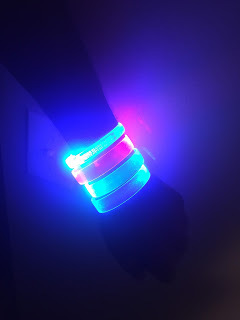 Another popular way to use these LED Wristbands is to simply just use them as a unique way to light up your event! 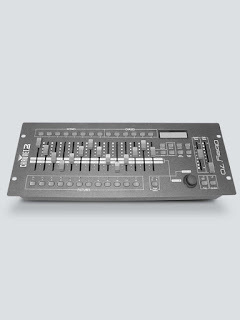 You can use at concerts, festivals, nightclubs, and conferences. As long as you have a crowd. You can give one to each of the guests and then watch in amazement as your entire event will light up the night. This is a GREAT ACCESSORY!! 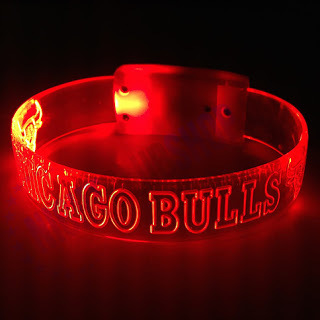 If you go to a lot of sports games or events with a group of your friends and you are looking for a unique and effective way to show your spirit for your team/organization than these are a great choice. Represent your team or your brand in a great way. 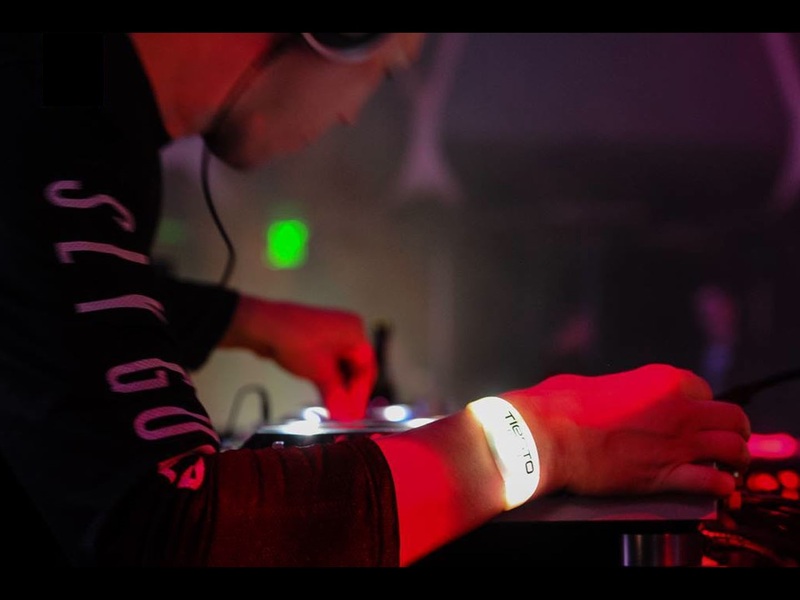 NightclubSuppliesusa.com proudly offers these Customized Laser Engraved LED Wristbands with a very Fast Turnaround time of only 5-10 Business Days. This product is made of plastic and Laser Engraved here in the United States. Here are some of our BULK Pricing Guidelines, However, Feel free to call us at : 866-437-7557 for more information. 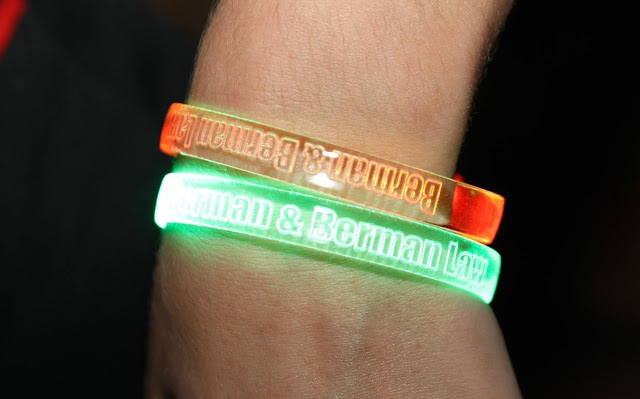 Our BEST SELLING Customized & Laser Engraved LED WRISTBANDS custom light up #Bracelets are personalized in bulk with your name/logo. We have several colors to choose from. 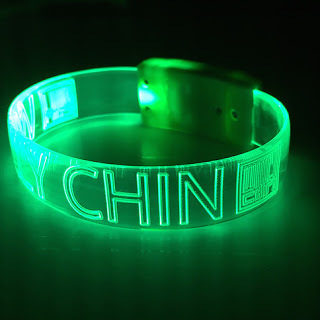 The Engraved Area with your name attracts the Light and Illuminates your name or logo brighter than the rest of the wristband. We have a Fast turnaround of 6-10 days. Our bands are 100% Made in the U.S.A. Great for #Nightclubs #Weddings #SpecialEvents #Sports #Schools #Corporate #Branding and even #Fundraisers. Get ready to turn your event to the talk of the town. 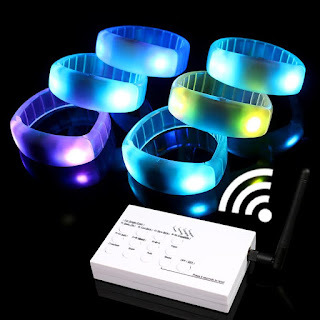 Check out our NEW Remote Control LED BRACELETS. These bands Has just hit the market and NIGHTCLUBSUPPLIESUSA.COM is one of the first companies to have them. Below you will see pictures and video of this fantastic product. 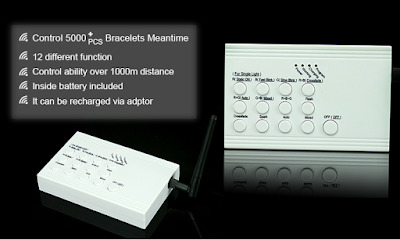 Our REMOTE CONTROL BRACELETS come in standard more powered by and included remote or you can step it up and go with our DMX REMOTE CONTROL BRACELETS. 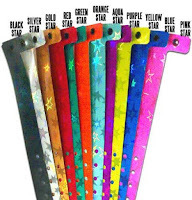 These bands are the NUMBER #1 accessory to use at most concerts and festivals. Even thou the popular LED FOAM STICKS are still a favored product. 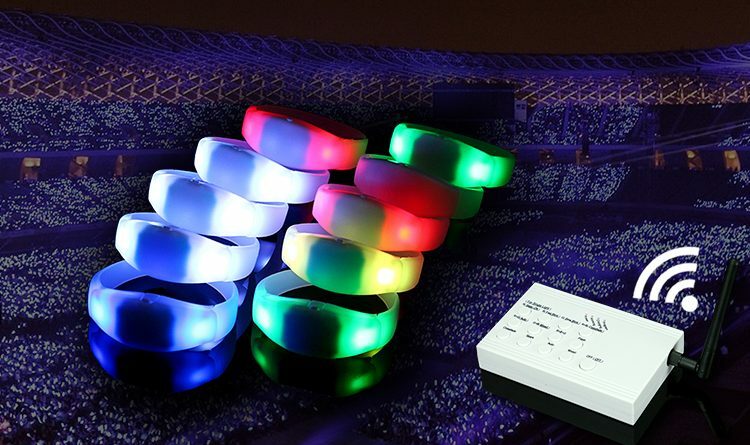 Our new LED REMOTE CONTROL BRACELETS have now taken over. 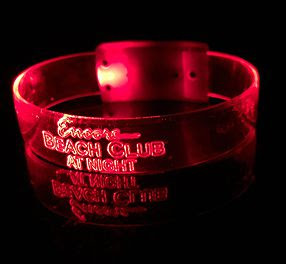 Nightclubsuppliesusa.com has the ability to make these bands with our without logos. See below at some examples. 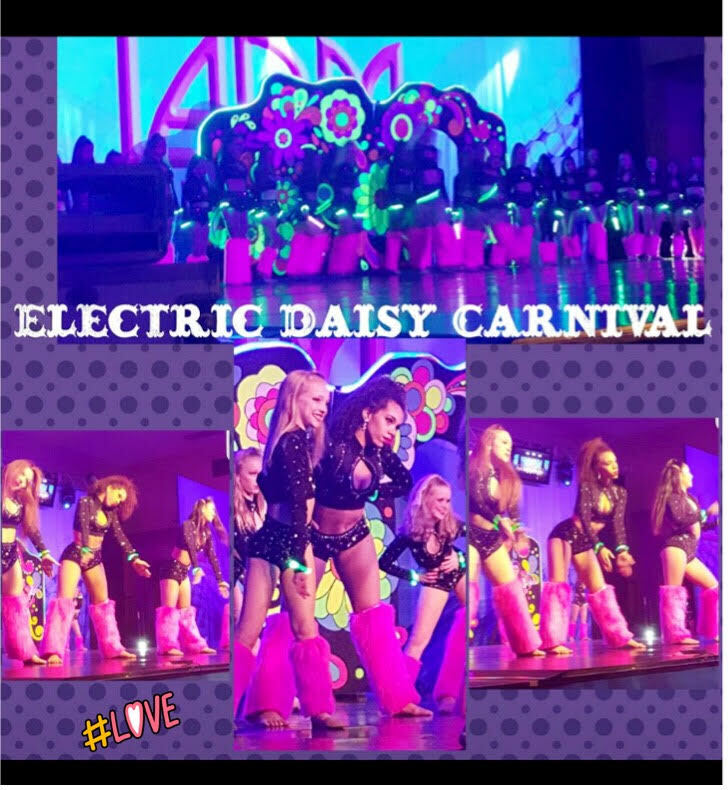 Concerts and festivals World wide love our remote control bracelets. With LOGO or WITHOUT LOGO will be you're choice. How do these bands work you may ask!?!? 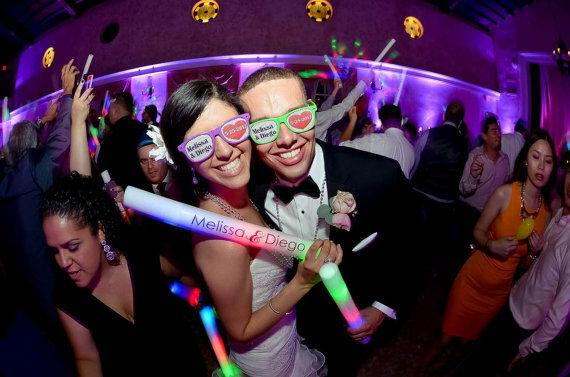 Our remote control bands can also be used at concerts, schools, weddings, and MORE private events!! Picture having a school outing like a dance or a "Quinceañera" #Quinceañera #peprally #concerts #businessconferences . We have a great treat for you. Check out this video of our remote bands being used at a school by a group of children. Its a great sight to see..